St Mawes Castle from the rocky beach below . 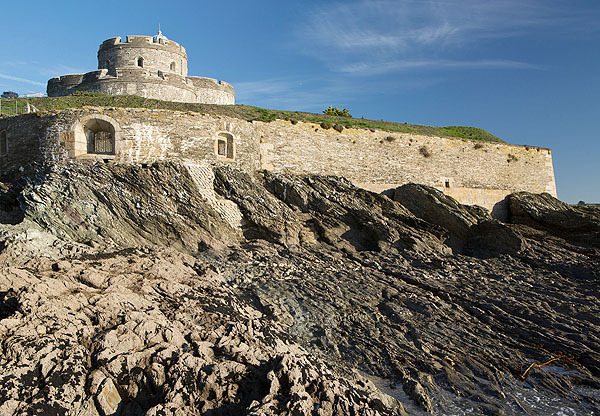 St Mawes Castle was built between 1539 and 1545 near the waterline by Henry VIII to guard the entrance to the safe anchorage in the Carrick Roads. Built together with it's larger sister castle, Pendennis. In the late 1530's Henry VIII was under threat of war from France and Spain because he had divorced his Catholic wife, Catherine of Aragon. As a consequence, Henry set about the fortification of the whole of England's south coast.